Before applying any make-up, it’s important to prepare the skin, especially when you need the make-up to last all day. This was especially important when I went to BeautyCon London 2015 when there were temperature changes from warm, to very hot to cold in the wind. I kept it quite simple as I don’t have a huge amount of time to get ready. 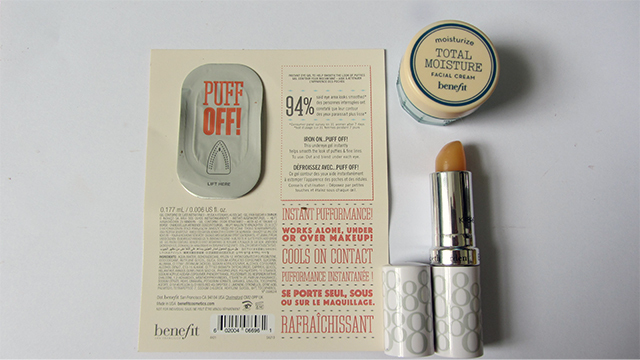 After cleansing, I used Benefit Puff Off eye cream under the eye only, Elizabeth Arden Eight Hour Cream Lip Protectant on my lips to prepare my lips for my lip colour, and Benefit Total Moisturiser facial cream for the rest of my face. There was no time to apply serum! 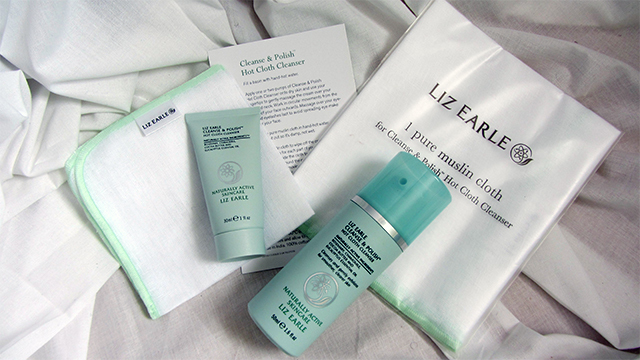 At BeautyCon London, I managed to pick up two Liz Earle Cleanse and Polish hot cloth cleansers and two muslin cloths. One was from the vending machine for sending a tweet and the other was for posting a selfie on Instagram. I am quite pleased with this as I like to use hot cloth cleansers as a well-needed treat, like a little spa at home. Now to find time to have a relaxing bath!